Over the space of two centuries, the original Dutch settlers of South Africa, augmented by a trickle of refugees from a succession of religious wars in France and Germany, grew into a hardy breed. In time, these people came to think of themselves as white Africans or 'Afrikaners' though they were generally known to one another, and outsiders, as 'Boers', meaning farmers. 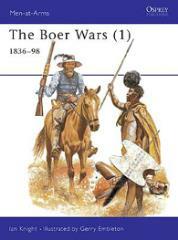 This book details the fascinating history of the Boers from the 'Great Trek' of 1836-40, through their many wars with such peoples as the Zulus and the Pedi, to their final defeat of the Venda in 1898.